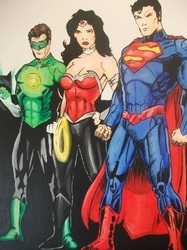 Everybody needs a face lift, even superheros! 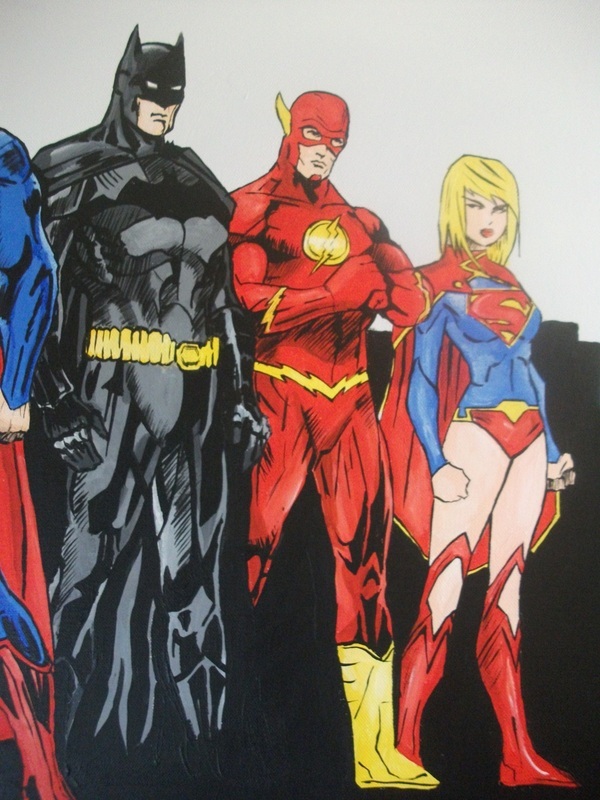 This is a painting using acrylic on canvas of DCs New 52. 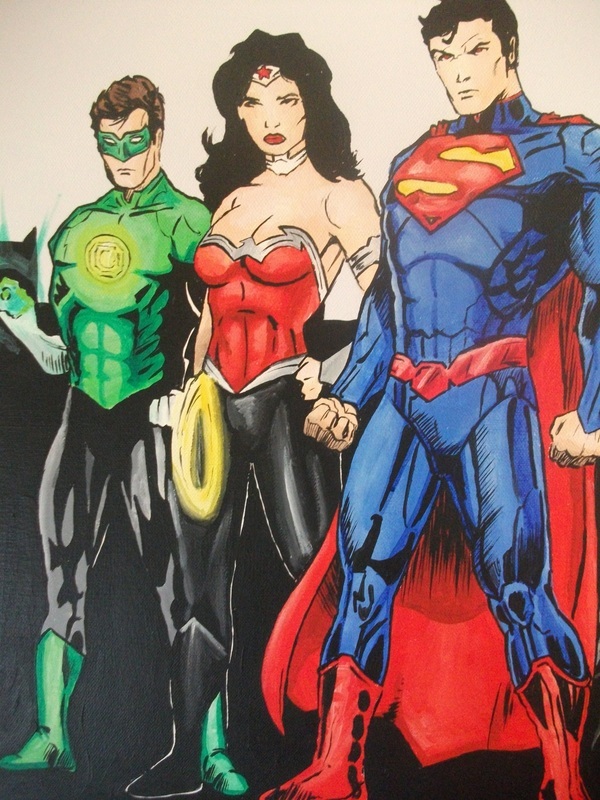 The comic book series of DC 52 main titles re-vamped. 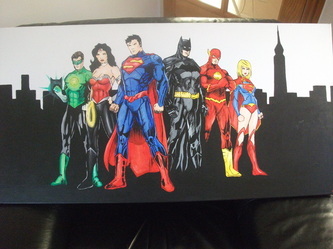 This painting includes the revamped versions of Superman, Batman, Wonder Woman, The Flash, The Green Lantern and Super-Girl. This is a perfect gift for all comic book fans young and old!